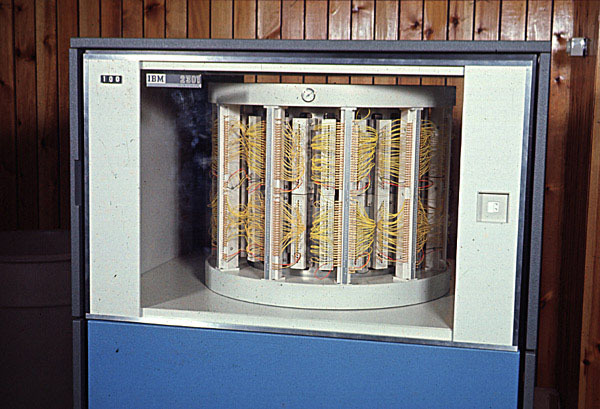 The 2301 drum was direct access storage, the same as a disk drive, but had one fixed head per track. with the drum there was no move just rotational delay. This made the drum access time a tenth of a disk drive. 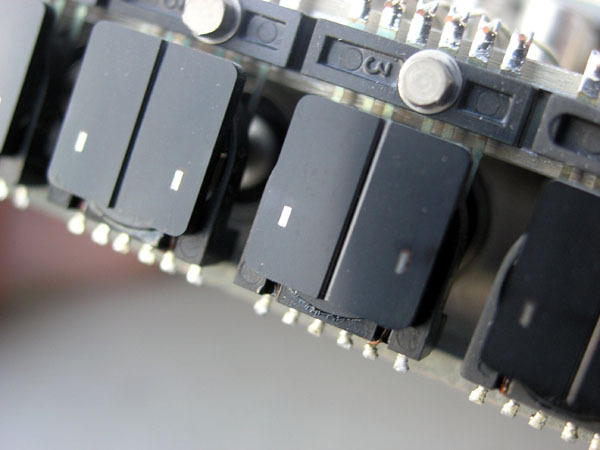 was four times that of a disk drive. This is a very fast device. The drum was not used to store ordinary user programs or data but as an extension of main memory. along with special hardware and software created a large virtual memory to support interactive terminals. We do not have a 2301 drum but do have one of the read/write head assemblies. Each assembly had 11 pads with a pair of read/write gaps. 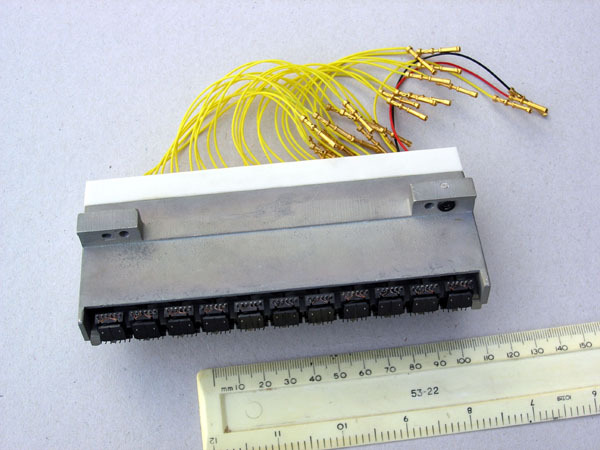 There were 10 bays around the drum with 4 assemblies in each bay making 880 tracks per 2301.